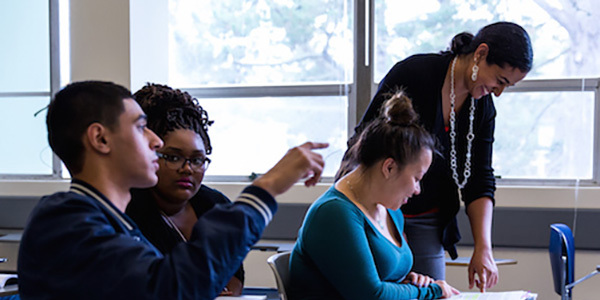 SAN FRANCISCO, March 20, 2015 -- The State of California has awarded $3 million in support to the Metro College Success Program, which helps underrepresented students at San Francisco State University and City College of San Francisco (CCSF) navigate their first two years of college. The funding, announced today, is part of $50 million allocated to state colleges and universities for innovative programs with a track record of boosting student success. 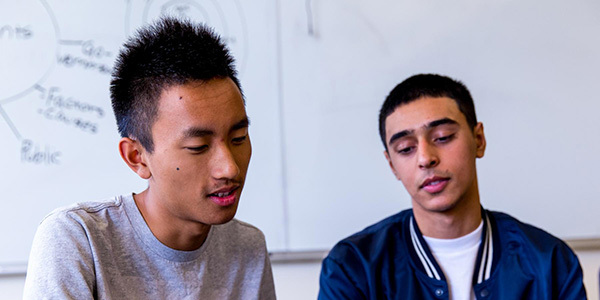 Founded in 2007 as a partnership between SF State and CCSF, the Metro program redesigns the first two years of the college experience, serving first-generation, low-income students by grouping them into "academies" of up to 140 peers who study together. By creating a supportive academic home, Metro helps students confront the challenges typically faced by college newcomers, such as juggling deadlines, managing an unstructured schedule and keeping up in tough courses. The Metro curriculum focuses on establishing a strong baseline of math, writing and critical-thinking skills and fostering a passion for learning. Out of 58 applicants for the state funding, 14 programs were selected to receive "Awards for Innovation in Higher Education." The one-time $50 million allocation supports programs that modify existing practices and systems to help more students graduate and do so within four years. Metro's partner program, Bridge to Success, a collaboration between CCSF and the San Francisco Unified School District, also received an award. The funding is contingent on the awardees submitting implementation plans for the approval of the award committee. SF State's Metro program was already slated to expand, ramping up from seven to 10 academies to serve approximately 25 percent of freshmen in the next academic year. With this new funding, the program will expand even further, Love said, with the goal of serving a greater number of low-income students by 2018. The CCSF Metro program, which currently has two academies, is expected to grow to six within the same timeframe. In addition, the funding will allow Metro leaders to work with local community colleges and other California State University campuses to help implement programs based on the Metro model.